Eusebio Di Francesco has led Roma to three straight wins heading into Wednesday's match against Qarabag. 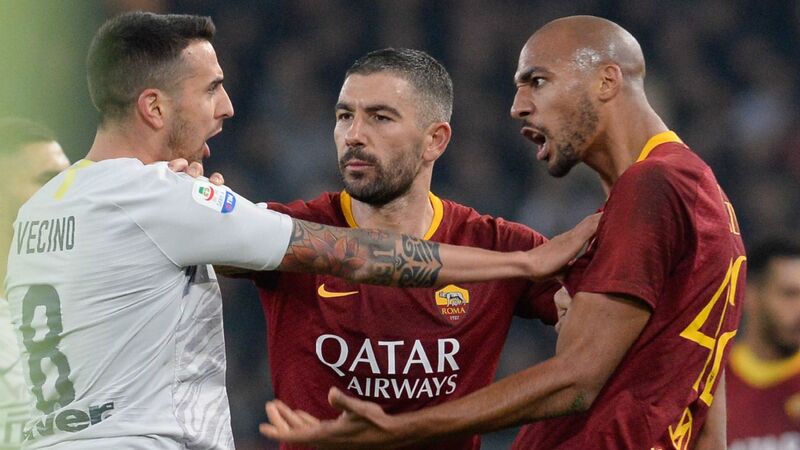 After three wins in one week, Roma have blasted away the rancour that had surrounded the club in the aftermath of their goalless draw with Atletico Madrid a fortnight ago. Nine points and 10 goals from three of Serie A's weaklings has rejuvenated the Giallorossi, who are now firmly into their groove ahead of their trip to Azerbaijan to face Champions League lightweights Qarabag. With heavyweights Chelsea and Atleti facing off in Madrid, Wednesday evening offers Roma a chance to play themselves into contention in Group C.
Although there was plenty of controversy in the aftermath of Roma's fortunate draw with Atletico Madrid in the opening week of the competition -- with president James Pallotta railing against Rome's famously volatile media environment and the coverage given to Edin Dzeko's mild criticism of Eusebio Di Francesco's style of play -- the point gained a fortnight ago was without doubt a good one. 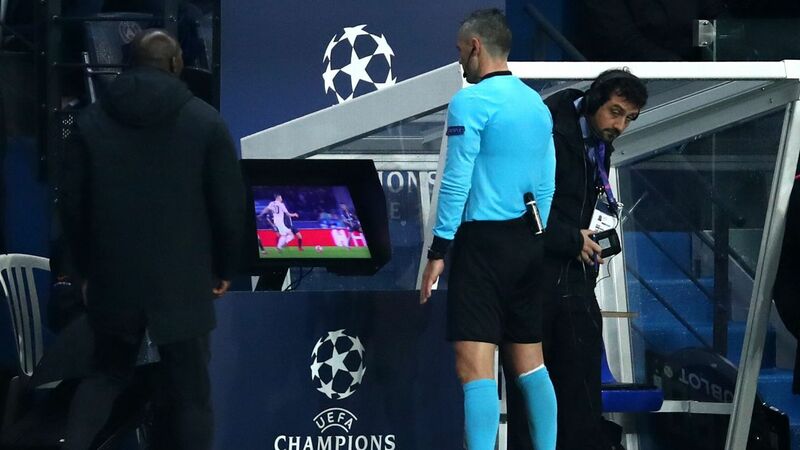 Nonetheless, it left them with just two wins in their past 18 Champions League games, and but for some outstanding goalkeeping from Alisson and the woodwork coming to the Brazilian stopper's aid twice -- the otherwise outstanding Saul Niguez thumped a cast iron sitter against the post in the final seconds after drawing a brilliant save from the Roma keeper -- Atleti would have gone back to Spain with a deserved win. Nine shots on target to Roma's one told the story of a match that featured a particularly one-sided second half. Since then, Di Francesco's side has been graced with much flimsier opponents, and as a result, the chance to both rotate players and bed in a 4-3-3 system that in the first couple of weeks looked clunky, have suddenly blossomed. 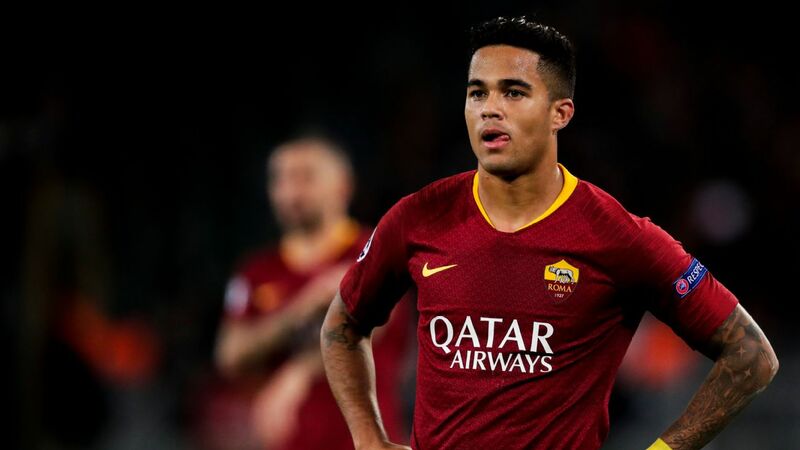 In their past three league outings, Roma have scored 10, conceded one and pumped the opposition goal with 69 shots, of which 254 have been on target. They've also hit the woodwork four times. The presence of Di Francesco disciple Lorenzo Pellegrini and the return of Alessandro Florenzi certainly helped. As has the use of proper wingers Diego Perotti and Stephan El Shaarawy alongside striker Edin Dzeko instead of playing striker Gregoire Defrel out of position. That has given Dzeko more support and space in which to move. There is also a sense that the run outs against the also-rans has allowed the coach's system to click into place: Players burst into attacks after winning the ball back, while the team is quick to shift in a solid defensive block. Stephan El Shaarawy celebrated with Edin Dzeko after scoring twice in a win over Udinese on Saturday. Also impressive has been the way the full-backs have found space to charge towards the touchline despite there already being three attackers up top. Qarabag are not as bad as neither the truly rank Hellas Verona, nor Benevento, who find themselves in Serie A after two straight promotions from the third tier. That's why Di Francesco is set to make five changes from the team that had Udinese beat by half-time on Saturday, with right-back Bruno Peres, central defender Juan Jesus, midfielders Maxime Gonalons, Pellegrini and forward Defrel all coming in, as the coach keeps one eye on Sunday's massive clash at the San Siro with stuttering AC Milan. 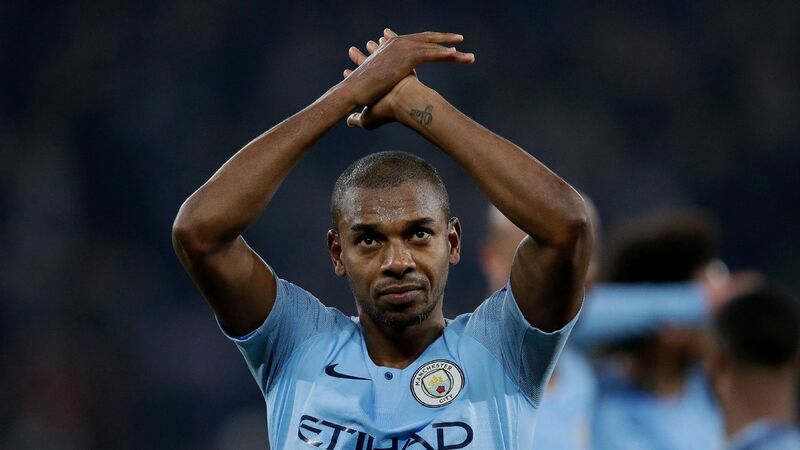 He can do that knowing that all five will be able to do a job, with Gonalons and Pellegrini in particular excelling in their outings over the previous week. After criticism of Roma's summer transfer dealings that, shorn of Mohamed Salah and Antonio Rudiger, left its first XI undoubtedly a touch weaker, it's been notable that this season's Roma team has a lot more depth to it. Di Francesco has the possibility to switch his team around with the confidence of someone who knows that the level of performance from one player to another isn't going to drop in such a way as to seriously affect the overall team display. With a long season ahead and a huge match coming up at the weekend, that's very important. Four points from their first two Champions League matches would only give Romanisti another reason to be cheerful.